Gillen made some pretty controversial additions to Tony Stark’s origins and put him in some atypical (for Iron Man) environments like teaming up for some cosmic adventures with Death’s Head or trying to sneak into Asgard to fight Malekith. I enjoyed the new directions quite a bit and ended up really liking the new black and yellow armor design. Unfortunately, like most of Gillen’s work at Marvel, the series ended before its time. As usual, he wraps things up pretty well considering that he suddenly found himself with only 2 issues to wrap up his large and ambitious web of plots, but it’s still painfully clear that there was going to be so much more to this that we’ll never get to see play out properly. It’s still worth checking out though. 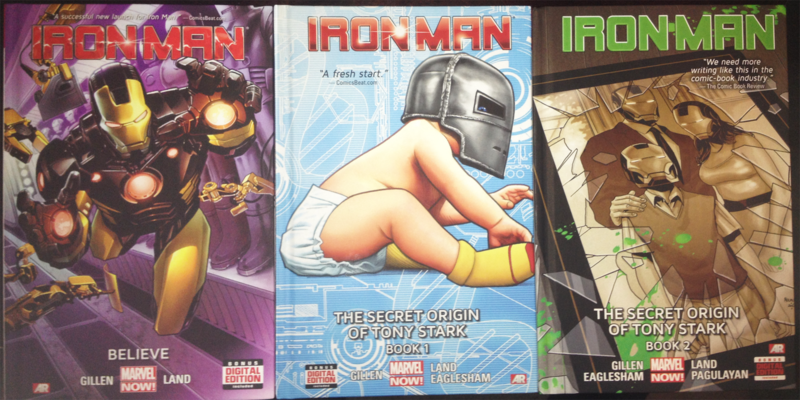 As brief as it was, I still consider it a memorable and enjoyable part of the life of Iron Man. 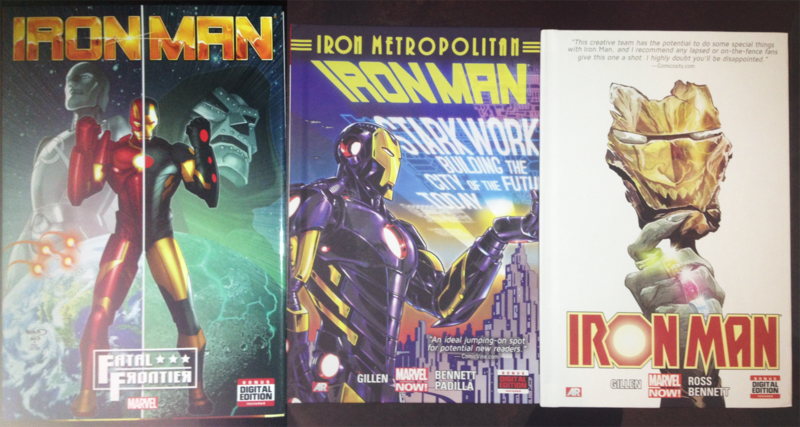 This entry was posted in Comics and tagged Comics, iron man, kieron gillen, marvel.